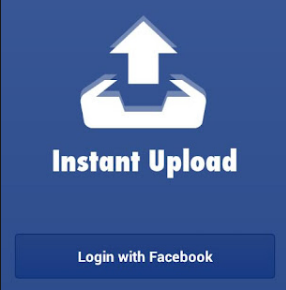 If you are a real Facebook fan and have numerous photos to be uploaded to your account, you must know that it tends to be rather time-consuming when it comes to uploading quite a few of them. Sometimes I wish I could have a virtual assistant who would do all this work for me and send photos to my Facebook account right from my camera! By the way, trying to find out how to make it easier, I came across a program, called ImBatch, which claimed to be able to upload numerous photos in a couple of click only! So, I gave it a try and I wasn't disappointed, I should say. First of all, unexpectedly, the program turned out to be completely free - no fees, no trial periods or restricted functions. So, I went on and decided to try the program in action, so to say. I started with choosing the photos I wanted to upload to Facebook (the funny ones from my last holiday). My next step was to start the program and get my first experience working with it, though it can hardly be called "working" - so fast and effortless it was! In the main window of the program you find the traditional Toolbar (at the top), the Working Area (on the left), Preview Area (optional – activated only if you want to see what is going on in a live mode) and the Task Area (on the right) where you choose the tasks for the project. So, I dragged and dropped my photos on to the working area within a second. Then what I needed to do was to choose the task for the project. So, I chose "Publish on Facebook" and pressed "Play". That's it! After that the program automatically logged on to my Facebook account and did everything itself! And in a few seconds my photos were on Facebook. It worked just like magic! So, next time you want to share your holiday impressions with Facebook fans and upload your photos or a whole album, do it the easiest way – using the freeware ImBatch. You’ll save a lot of time and in a few seconds your photos are there!